Bouncing On Air has been proudly serving the greater buffalo community for over 18 years. We have tons of knowledge of the buffalo area and we might even be able to help you find a good location to have your special event, wedding, or even corporate party. Buffalo has so many beautiful parks and places to hold your event. Bellow you can see some people we work with and some parks and businesses we would recommend to take you important day to the next level. Bellow We have Parks, and other awesome locations to hold your event at. Along with important details to ensure everything goes smooth. Buffalo's Best Inflatable Choices include all the above from Basic jumps all the way to our adrenaline rush obstacle course. We have over 40 inflatables available to the Buffalo area so the selection is endless! Every year we add new inflatables so you can always be changing up your special event. Are we Insured? YES YES YES WE ARE! Bouncing On Air LLC is fully insured so when booking at a public park reach out to get our Additional Insurance Certificate so you can have your event at a local Buffalo Park. 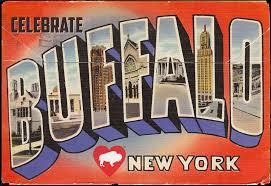 We have NO TRAVEL FEE TO BUFFALO! The price you see online is the price you pay for your 8 hour rental. Set up, take down and delivery all included! That means you have no stress when planning your party. We have over 30- 5 STAR reviews on google. CHECK THEM OUT! Bouncing On Air has reminder emails to help you plan your party and we are always available to talk through email, or phone. Send us a message on the site with any questions.